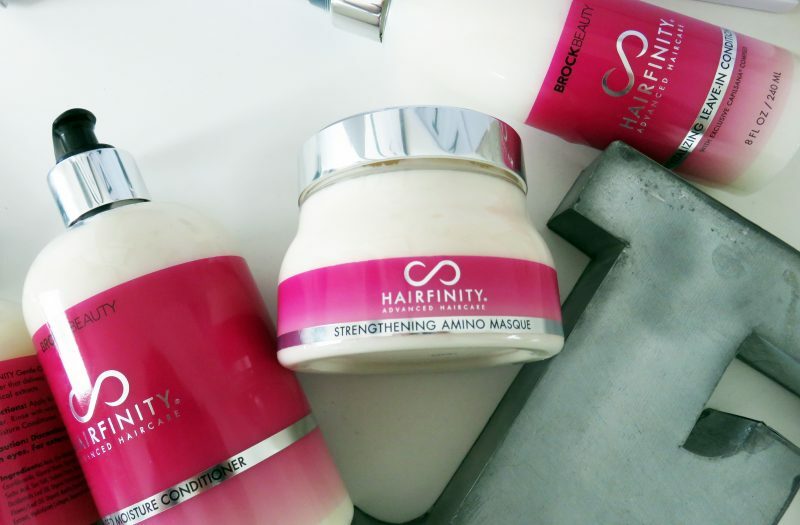 Beauty: Do Hairfinity Products Work? A couple of years ago, I spied a bottle of hair supplements on a work colleagues desk from Hairfinity. 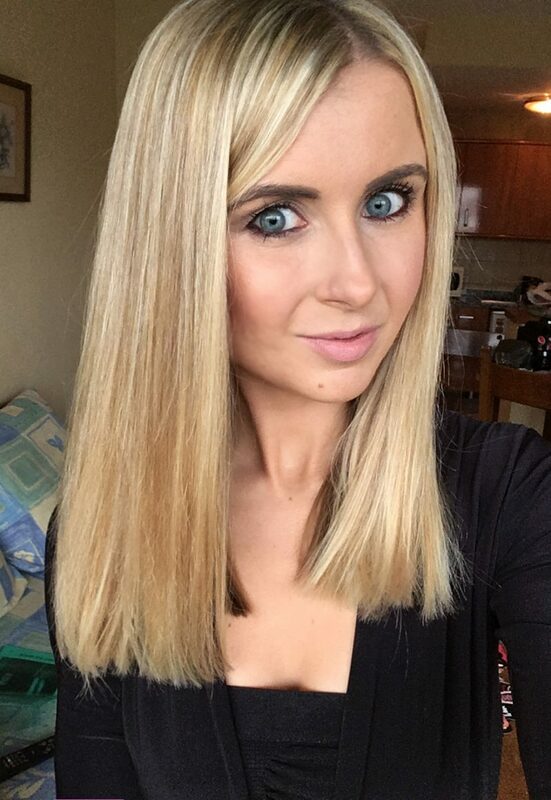 I asked her how long she had been taking them for, and if she’d noticed an improvement in the growth and thickness of her hair. 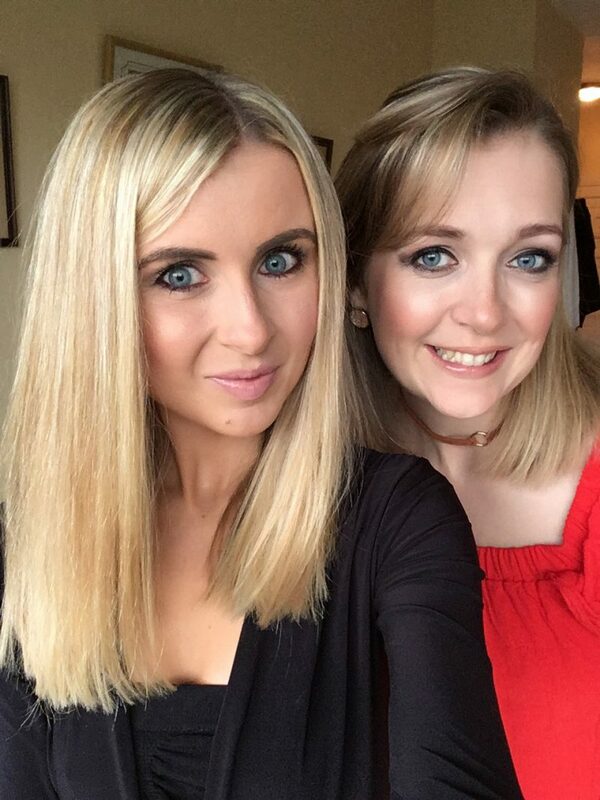 I remember she told me they were the best she had ever used, and after a nightmare situation with hair extensions, here hair was improving and growing much more healthy. For me, it’s not so much about length, but about thickness and density. 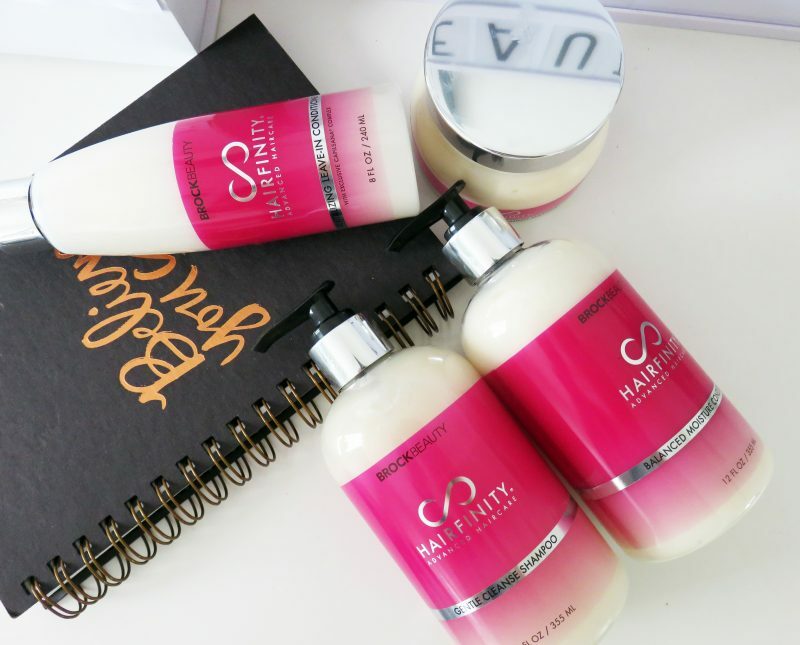 I forgot all about the conversation with my colleague until a bunch of Hairfinity products landed on my desk a few weeks ago, where I work as a Beauty Editor for international beauty retail sites. I remembered her positive feedback on the brand, so I decided to give them a go myself. Firstly, I read up on some reviews about Hairfinity products, to see what everyone else was thinking. I always find online reviews from everyday people are always the most ‘real’ way to get an idea of whether something is or isn’t going to work for me. 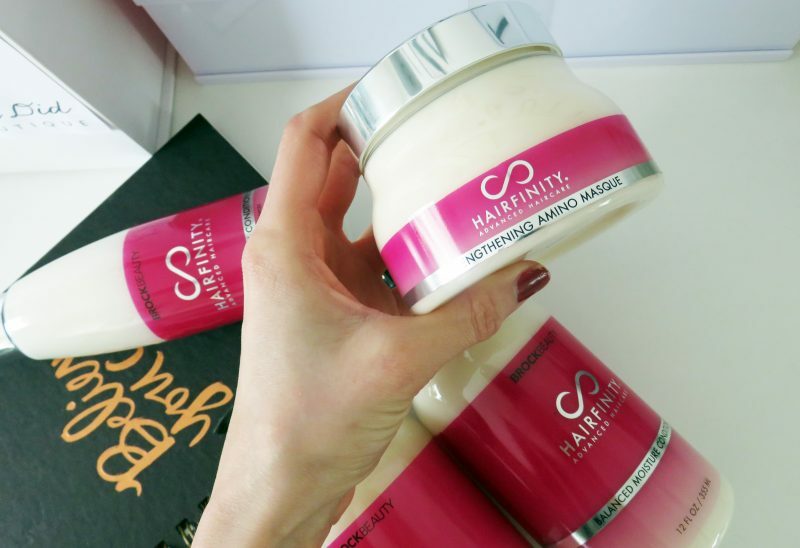 The supplements she swore by to help her hair grow much quicker and healthier are the Hairfinity Hair Vitamins, providing a concoction of vital vitamins to support hair health. At £28 for a bottle of 60 capsules, you take two a day for optimum results. From collagen and B Vitamins, to Horsetail and Vitamin A, you’ve got all the skin, hair and nail beautifying ingredients to support a faster growing head of hair. However, for me its all about improve thickness, so I’m currently trying out the Volume Builder Amino Acid Boosters. They aim to give hair an infusion of protein-rich amino acids to support healthy, strong hair. Packed with Cystine and methionine, they provide the hair’s building blocks, along with lysine, arginine and taurine to support the hair follicle. With these, I just take 1 a day alongside my usual vitamin, and I hope to see an improvement with the density after 2-3 months ideally! Other products I’m trying is the Gentle Cleansing Shampoo, Balancing Moisture Conditioner, Strengthening Amino Masque and the Leave-in Conditioner. They smell fresh and subtle, with that premium, light salon scent. So far, all formulas and textures feel creamy and indulgent – especially the amino masque – where a little bit of product goes a long way. As you can see from the photos, I’ve just had a good 3 and a half inches chopped off my hair, and a refresh with my colour. 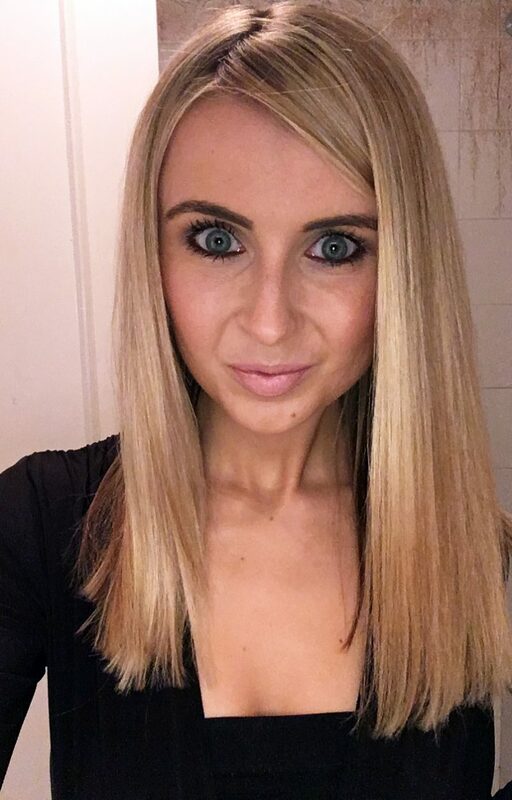 I recently booked in at Andrew Collinge salon in Manchester and opted for the smarter, choppier blunt cut, and some cleaner, creamier blonde shades blended through my hair. Along with the volume boosting supplements and this deluxe range of hair care products, I’m looking forward to maintaining this sassy new hair! Next Post Fashion: WIN 1 of 5 Celebrity Inspired Maxi Dresses!